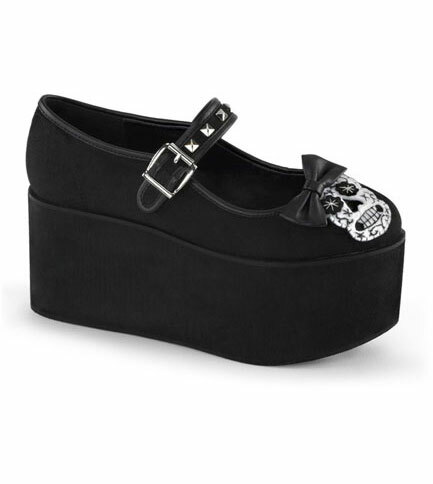 Black canvas Mary Jane style shoes with 3 1/4 inch platform. 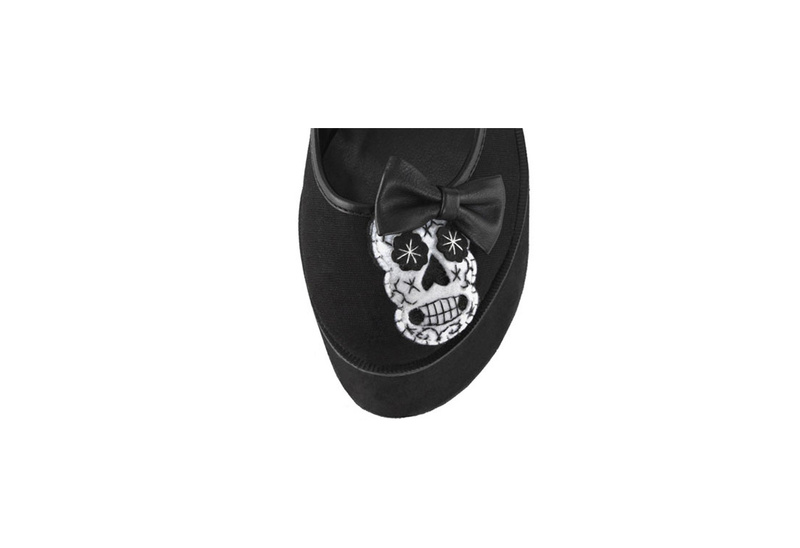 These cute platform shoes have a Dia de Muertos skull felt applique stitched on the toe with satin bow on vamp. The buckle strap has pyramid studs and piping detail. 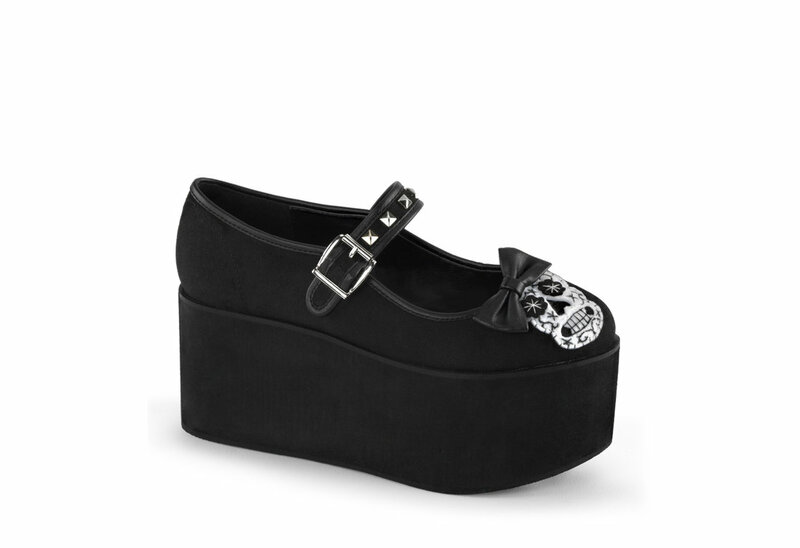 Seriously cute shoes for the day of the dead or any other day.